This nine-day circle drive adventure features Canada’s award-winning wines of the Okanagan Valley. Mountain ranges, pristine pine-fringed lakes, blossom-filled gardens, abundant orchards and vineyards, sandy beaches, and first-class amenities combine together to create the spectacular scenery of the Okanagan. The first leg of this adventure takes you from Vancouver to the resort town of Harrison Hot Springs, where you will enjoy a First Nations Cultural Cruise then onwards to the Okanagan and the wine. 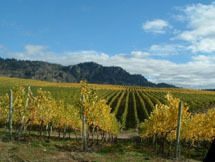 Osoyoos in the South Okanagan and Kelowna in the central are known for different wines, and a winery tour is included in each location. Finally head to Kamloops, with a choice of either a horseback ride or spa massage. Vancouver will welcome you back to end your journey. Arrive in Vancouver and collect your rental car for your journey to Harrison Hot Springs. A visit to Minter Gardens en route is recommended. Journey time to Harrison Hot Springs is approximately two hours without stops along Highway 1. If you are arriving from an international flight or in the late evening, we suggest you overnight in Vancouver prior to commencing your journey. Bordering on the breathtaking snow-capped mountains of southwestern British Columbia, Harrison Hot Springs is a refreshing world of outdoor tranquility. Once a stop-over on the legendary gold rush trail, this beautiful wooded shoreline has become a renowned Canadian getaway. Overnight at the Harrison Hot Springs Resort & Spa where you will have access to the five hot pools at the resort. Included in your stay is a First Nations Cultural Cruise along the alluring southern Harrison Lake and upper reaches of Harrison River. View ancient rock paintings (pictographs) and rock carvings (petroglyphs), archaeological sites and traditional lands. Your guide will share stories of the Sasquatch legend, and entertain with drumming and singing throughout your two-hour tour. Overnight at the Harrison Hot Springs Resort and Spa. Please allow five hours for today’s journey via Hope and the Crows Nest Highway to the desert oasis of Osoyoos. Osoyoos is the only desert in Canada and has the most temperate climate in the country. Arrive at your leisure and check-in for your two-night stay at the Spirit Ridge Vineyard Resort and Spa, where you will be treated on arrival with a basket of seasonal Okanagan fruit in your room. Overnight at the Spirit Ridge Vineyard Resort & Spa. Today you will join a six-hour winery tour highlighting some of the finest wines in this Southern British Columbia region. Spend the afternoon sipping, savouring, dining and learning about what makes a good wine. The remainder of the day is at your leisure. Overnight at the Spirit Ridge Vineyard Resort & Spa. Continue your journey north for three hours to Kelowna along Highway 97. Travel through the spectacular Okanagan Valley scenery of pristine lakes, blossom-filled gardens, abundant orchards and vineyards. 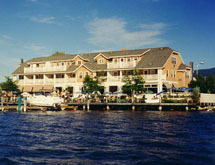 Perched on the lakeshore with a private boardwalk and marina, Hotel Eldorado is located steps away from the sun-drenched beach. Overnight at Hotel Eldorado. Today you will explore this region on a Summerland Bench Winery Tour to sample wines and learn why this area is so distinctive. Renowned for the 12 orchards and vineyards surrounding the city, and some 65 throughout the Okanagan Valley, Kelowna is a wine connoisseur's paradise. The remainder of the afternoon is at your leisure. Overnight at Hotel Eldorado. Follow the shoreline of Lake Okanagan into the semi-arid ranch lands of the Kamloops plateau. Your journey to Kamloops has an approximate travel time of three hours. Boasting the warmest weather in Canada, world-class sporting facilities and incredible recreational experiences, Kamloops has a great deal to offer. Check-in for your two-night stay at the South Thompson Inn and Conference Centre, a Kentucky-style guest ranch offering Western hospitality. Overnight at the South Thompson Inn and Conference Centre. Today you will have a choice from a two-hour horseback ride or, alternatively, if you are just looking to relax you may choose a spa rejuvenation package. Overnight at the South Thompson Inn and Conference Centre. Your return journey to Vancouver will take approximately four hours via Highway 5. 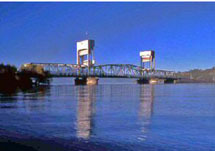 Should you prefer a more scenic route, the Trans-Canada Highway 1 follows the Thompson and Fraser Rivers with an approximate journey time of six hours. Your vacation ends with the return of your rental car.